April 29, 2013 (Julian)--Following last year’s success, Julian’s 2nd Annual Wild and Scenic Film Festival, benefiting Volcan Mountain Foundation, returns May 17 – 19, 2013. This year's festival features an expanded program of 44 new films, almost 12 hours of unrepeated screening time broken into 9 sessions from Friday evening to Sunday evening. The weekend is packed full of entertainment to delight audiences of all ages, as well as other activities ranging from wine-tasting to a hike up Volcan Mountain to a party with dancing and live music for festival attendees. 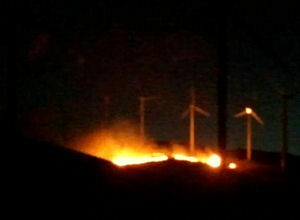 April 27, 2013 (San Diego’s East County)—Why is there no federal requirement for wind farm operators to report fires? A sensor in the turbine detected the fire. But an employee did not arrive on scene until the next morning, after the fire had burned itself out. The fire department was never notified, nor was any state agency. Had the blaze not occurred in winter with snow on the ground, the fire could have spread to the adjacent forest, a Maine forestry official has stated. ECM has asked Cal-Fire in an e-mail whether wind facility operators are required to report fires to fire officials. No response has been received. April 28, 2013 (Deerhorn Valley) – The first-annual Deerhorn Valley Home and Garden Tour on April 21 provided an intriguing glimpse into the history of this fascinating area of East County, as well as tours of a spectacular and diverse array of homes and gardens. A unique aspect of this tour, unlike others that are self-guided, was the tour bus provided along with helpful guides who gave details along the way not only of residences on the tour, but also colorful tales about the communities and rich heritage of this region. April 12, 2013 (Jacumba Hot Springs)--Spend a cool afternoon jammin’ to some blues that won’t “tax” your wallet at the free Jacumba Blues Fest on Saturday, May 4 in Jacumba Hot Springs. The festival, sponsored by the Jacumba Arts Council, runs from 12-8 p.m. at Highland Community Center on Olde Highway 80. Bring a lawn chair and enjoy food as well as cold, non-alcoholic beverages while you listen to some “smokin’ blues,” organizers suggest. May 3, 2013 (Ramona) – Ramona is planning a "humdinger" of a celebration. On May 4 and 5, the Ramona Bluegrass and Old West Fest will culminate nine days of musical celebration in Ramona at the Ramona Rodeo grounds. This year, in addition to live music, the festivities will also include a focus on Old West history including an encampment with mountain men, cowboys and Civil War era characters. Visitors can enjoy music workshops, fireside storytelling, dancing, and break-out jam sessions. Some bands and musicians will lead music workshops ranging from fiddle and mandolin to musical harmony. Kids of all ages are encouraged to bring their instruments and play along in this unique learning experience. May 2, 2013 (Alpine)-- On May 3-5, the 16th annual CHIRP Sage & Songbirds Garden Tour will take place, as well as the Sage & Songbirds Festival at the Viejas Outlet Centers in Alpine. The garden tour will feature home gardens that are bird and butterfly friendly, as well as a bonus site: a raptor rehabilitation facility featuring eagles, hawks and more. A plant sale is also included. The free festival at Viejas Outlet Centers features activities and events including daily butterfly releases, caterpillar races, and more. Scroll down for additional details. May 2, 2013 (San Diego’s East County) – The First Amendment Coalition has issued advice to public officials in light of a court ruling that found private e-mails used by San Jose city officials to discuss public business must be disclosed if a Public Records Act request is received. The ruling is on appeal and is expected to be upheld, according to legal experts, which would set a statewide precedent. The ruling poses as quandary for some local governing boards, such as the Alpine Community Planning Group, which relies entirely on private e-mail addresses for communications. April 29, 2013 (San Diego’s East County)--In early April, some of the world’s foremost experts in coccidioidomycosis presented published papers on the epidemiology, laboratory science and clinical status of , a fungal disease endemic to Southwestern states like Arizona, California, New Mexico and Nevada. Valley Fever attacks the human and animal respiratory systems and can disseminate to other organs in the body, proving fatal in some cases. April 30, 2013 (Sacramento) – The Assembly Natural Resources Committee in Sacramento yesterday voted 5 to 3 to temporarily halt fracking until further health assessments can be done. Three moratorium bills passed, including AB 1301 to stop fracking unless it can be proven safe. Two similar bills, AB 1323 and AB 649 call for creating an advisory committee to review health, environmental, economic and other effects. They would recommend regulatory changes. Those bills would require state officials to decide by January 2019 if fracking should occur in California. April 30, 2013 (Spring Valley) – A Spring Valley mother of two small children has been missing for over three weeks, the San Diego Sheriff announced today. Selina Salgado, 21, was last seen April 5 when she left her home in the early morning. A tattoo artist, she has multiple tattoos including roses with a hummingbird and bumblebees on a forearm. She has long brown hair and brown eyes, but sometimes wears green contact lenses. She is Hispanic, 5 feet 3 inches tall and weighs 145 pounds. Media outlets reported today that the International Olympic Committee rules may prohibit a joint bid by the U.S. and Mexico to host the 2024 Olympic Summer Games in San Diego and Tijuana. In response Mayor Bob Filner released the following statement. “We are undaunted by this statement from the International Olympic Committee. We don’t have all the answers right now." 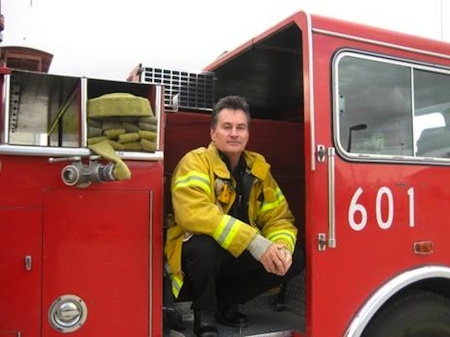 FROM THE CHIEF'S CORNER: HIGH FIRE DANGER! April 30, 2013 (San Diego's East County)--We will be experiencing an extremely high fire danger for the next 72 plus hours. High pressure is building over Southern California. Lack of rain has resulted in critically low fuel moisture content level. Warm temperatures with strong gusty off-shore winds will increase the threat of wildfire. Read more about FROM THE CHIEF'S CORNER: HIGH FIRE DANGER! April 28, 2013 (Rancho San Diego)—Cuyamaca College hosts its 5th annual Coyote Music Festival from 12-5 p.m. on May 4, featuring nine bands/solo artists on two stages showcasing their original music compositions. Performers will take stage on the grand lawn on campus at 900 Rancho San Diegio Parkway in El Cajon. Genres at this event, which has free admission, include acoustic, rock, and folk by these talented home-grown songwriters. The music festival is produced by students in the Music Industry Seminar class. You’ll find plenty of shade and free parking. For details and directions, see: www.coyotemusicfest.com . Scroll down to see the complete line-up. SANTEE COMMUNITY COMES TOGETHER FOR "COFFEE CORNER BENEFIT ALL 4 DYLAN"
April 29, 2013 (Santee)- Recently, a Coffee Corner benefit was held for Dylan Pourner, a kindergarten boy with brain cancer, in Santee. Organizers and students who helped out wore bracelets that said, “We Love Dylan…The greatest of these is love,” and “We Love Dylan” t-shirt. A concert was also held. Now, local schools are pitching in to help raise funds to help Dylan and his family. ECM interviewed Gina Milton, one of the organizers. She told us that Dylan has a glioma, a non-operable mass. “He lost control of his hands and he can’t stand. The tumor is on the brain stem. It keeps growing and putting pressure on his brain.” But there is hope; he started a new treatment a few weeks ago and is expected to be getting it for eight weeks. Read more about SANTEE COMMUNITY COMES TOGETHER FOR "COFFEE CORNER BENEFIT ALL 4 DYLAN"
April 29, 2013 (La Mesa) – The La Mesa Rotary will host Sweet Retreat on May 4th to benefit Volunteers in Medicine and other East County non-profit organizations at the Visitor and Interpretive Center at Mission Trails Regional Park, 1 Father Junipero Serra Trail, San Diego. The event featuring gourmet desserts, appetizers, wine and beer will be from 7:00 p.m. to 10:00 p.m. and include a silent auction. April 29, 2013 (El Cajon) – ACES Foundation El Cajon Animal Shelter will be auctioning Barkitecture Animal Houses to raise money for the ACES Foundation. The event will be May 19, from 5 p.m. to 7 p.m. at O’s American Bistro, #75 Parkway Plaza, El Cajon. Tickets are $25 and include an auction number, appetizers, and wine or beer. Tickets can be purchased online at www.acesfoundation.org or at the door. April 29 (Monday - 7:00 pm) — Post World Book Night. Mysterious Galaxy Bookstore, 7051 Clairemont Mesa Blvd, San Diego. For additional information go to www.writeoutloudsd.com or call (619) 297-8953 or email writeoutloudsd@gmail.com. April 30 (Tuesday – 9:30 am) — California Gold – Bradbury & Other California Writers. Grossmont Community College - Griffin Hall, 8800 Grossmont College Drive, El Cajon. For additional information go www.writeoutloudsd.com or call (619) 297-8953 or email writeoutloudsd@gmail.com. April 29, 2013 (El Cajon) –Heartland Swim Association has opened registration for its popular Summer League program which will be held at 10 locations beginning June 24. A special incentive is being offered for paid registrations received by May 17. Heartland Summer League is designed for swimmers of all abilities from the ages of 6 to 18. Practices are held three days a week with competitive swim meets held on weekends in July. The Summer League culminates in an All-Team Championship Meet at El Cajon Valley High School on August 2 & 3. April 28, 2013 (El Cajon)- This past Tuesday, Michael Griffiths from the El Cajon Public Works Department gave a PowerPoint presentation to El Cajon City Council about the pavement maintenance program underway since 2006 and set for completion in 2014. City Manager Doug Williford stated that this program affects businesses and residents. Before Griffiths began, he acknowledged junior engineer Katie Odiorne, who put the PowerPoint slides together. First, he presented a scale of old to new street pavings from 1-100. April 28, 2013 (El Cajon)- April 16 was the 18th annual youth-led event by STAAND (Students Together Against Alcohol And Drugs), a critical teen issues forum addressing common problems prevalent in East County teens. Among those are bullying, suicide, alcohol, drugs, and safety (cyber bullying, cyber dating). STAAND is a part of Communities Against Substance Abuse. The group has this forum because adjusting to high school can be challenging for all students, but East County has experienced a huge influx of immigrant families and up to 50 languages are spoken among families in local school districts. More of these families live in poverty than ever before. This affects teens greatly. April 28, 2013 (San Diego’s East County) -- My friend, David Hart, and myself went on a long and strenuous six-hour but fun hike of all five peaks at Mission Trails Regional Park on Wednesday. We enjoyed seeing many of nature’s wild life. Mule Deer, Red Diamondback Rattlesnake (always be aware of rattlesnakes this time of year), a Gopher Snake, (the gopher snake I befriended and then let him back on his way), and even a Jerusalem Cricket. April 29, 2013 (San Diego’s East County) – Two lost hikers are safe following an all-night search and rescue effort. The hikers called the Sheriff’s Department on Saturday night to report that they were lost on the west side of Cuyamaca Peak, trapped in thick brush without any food or water . Due to low clouds and fog, helicopters could not fly in the rugged terrain. Deputies from the Julian Sheriff's Station requested assistance from the Sheriff's Search and Rescue Team. Search teams responded to the Paso Picacho Campground in the Cuyamaca Rancho State Park area Saturday at around midnight to search for the lost hikers. Update: The fire off 125 reached 20 acres and is now contained. April 28, 2013 – A brush fire that began along State Route 125 in the vicinity of Magdalena and Birch Streets is now two acres. Helicopters are battling the blaze. Access is difficult for hose-lays. The blaze is in a canyon near Olympian High School. State Route 125 has been closed in both directions. In Otay, a small fire has also been reported near the George Bailey Detention Center. April 28, 2013 (El Cajon ) – A brown Ford car has crashed into a power pole on Jamacha Road at Kendrick in the Granite Hills area. Power lines are down. An outage is affecting 1217 homes in the Granite Hills, Bostonia, Singing Hills and East El Cajon areas, according to the SDG&E website. April 28, 2013 (La Mesa) -- Responding to a report of a fight last night in the 5900 block of Severin Drive, La Mesa Police officers arrived and found that the fight was actually an altercation between liquor store employees and suspects who reportedly stole alcohol. The employees chased the four suspects, two men and two women, out of the store and a fight ensued. Both employees were hit in the face by the two male suspects and sustained bruising, but refused medical attention. The loss was a bottle of alcohol. April 18, 2013 (Alpine) – Lions, Tigers & Bears (LTB), the Alpine non-profit exotic animal sanctuary celebrating 10 years of saving lives this year, is hosting its annual Wild in the Country Gala on May 4, 2013 from 2:00 – 6:00 p.m. The event, open to the public, will feature a silent and live auction; live entertainment; catered food; a live music performance by Lisa Sanders; visits with the big cats, bears and animals in Animal Encounters and fun for the whole family. April 27, 2013 (San Diego)--Around the world, including here in the U.S., native people are losing lands they have occupied for countless generations. The earth and water that sustained life in their communities is being destroyed –once-mighty rivers and wetlands reduced to barren, parched or even contaminated land. The story is the same from tribes along the Colorado River to those deep in the Amazon, from the deserts of Southern California to the jungles of Mexico, from the coal fields of Appalachia to the copper mining pits of Arizona to indigenous people’s lands in Canada threatened by the Keystone Pipeline. The culprit? Growing demand for energy and water. Now, native people are speaking out. They hope to educate the public to conserve precious resources, sharing knowledge of the heart-breaking price being paid by people who have been given no choice—and whose very cultural identity centers around the lands and waters being lost. 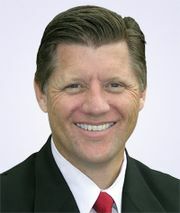 April 27, 2013 (Sacramento) – Legislation by Assemblyman Brian Jones (R-Santee) to require photo identification prior to casting a ballot was killed by Assembly Democrats today in the Assembly Committee on Elections and Redistricting. But a Voting Rights Institute report titled “The Real Cost of Photo ID" concludes that “the problem of voter impersonation, which is the only type of fraud photo ID could conceivably address, is less likely to occur than a person being struck by lightning.” Moreover, the report found that in states that have enacted Voter ID requirements, the costs have been high. In California, the report estimates the cost of implementing Voter ID requirements during the first year would range from $37.86 million to $113.58 million.